Shipping is only $1.97, no matter what you buy. I haven't personally bought one of the items yet but the company contacted us to let us know about these deals for the holiday season. The staff there seem very nice and professional and all of the deals are very competitive prices. 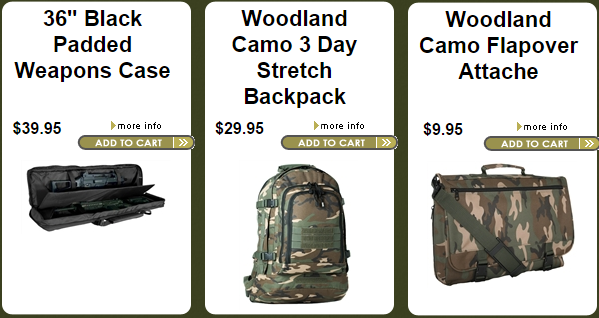 Military Luggage Company is the largest bags, packs & cases superstore for all branches of the Military. They have something for every price range – so check them out – you won’t be disappointed.